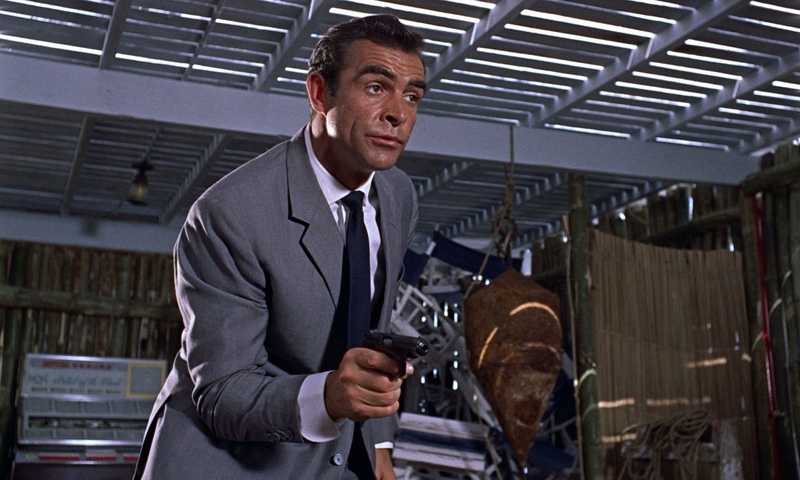 Throughout Dr. No, Sean Connery wears five unique tailored ensembles. Each outfit is simple, classic and worthy of imitation. The idea was to put Bond in suits that were distinctly British, but keep things simple because a secret agent should never stand out. Yet because of this simplicity, the clothes still look fresh today. Now I want to read Spaiser, who runs the blog The Suits of James Bond, on Connery’s clothing in From Russia With Love, my favorite, and arguably the best, Bond film. This entry was posted in James Bond, masculinity, movies, style and tagged Sean Connery. Bookmark the permalink.